Revington TR - Triumph TR Specialists: New Models in stock - TR4 soft top just in. TR4 Black Soft top with Red Interior and detachable roof. Just arrived at Revington TR is the latest edition from the Hornby Vanguards Collectables range. The soft top look alike finished in black with a red interior will be a fantastic addition to your collection. It is the latest edition to the range of TR's and other Triumph models now stocked by RevingtonTR. 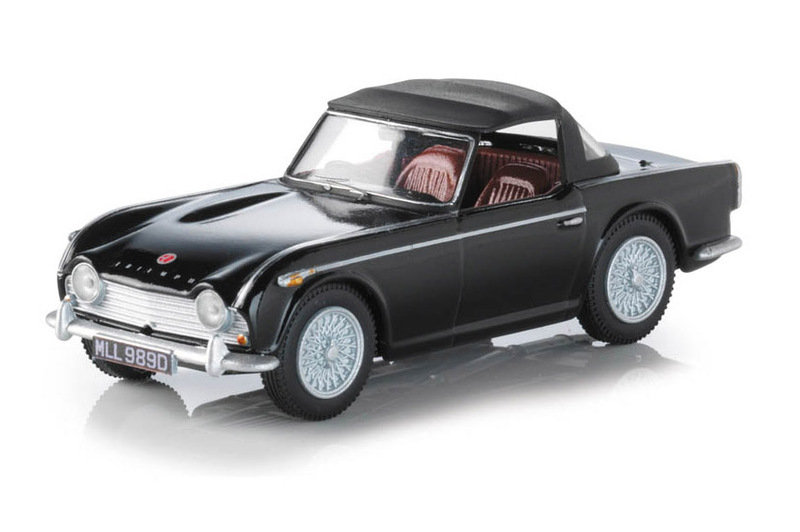 This latest model of the TR4 even has a detachable roof!! Visit our web site for more details. Enter the code VA11501 in the search box and check out our full range while you are there. Like the real thing, this TR is not suitable for small children.